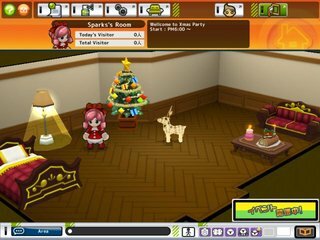 The MyRoom feature is a player's private house, players can purchase and place furniture here and invite other players to check out their place. Players can arrange furniture however they wish in their Room, change the layout of the Room as well as write notes on the message board for others to see. Players can even set commands and rules for their Room that other players need to follow.